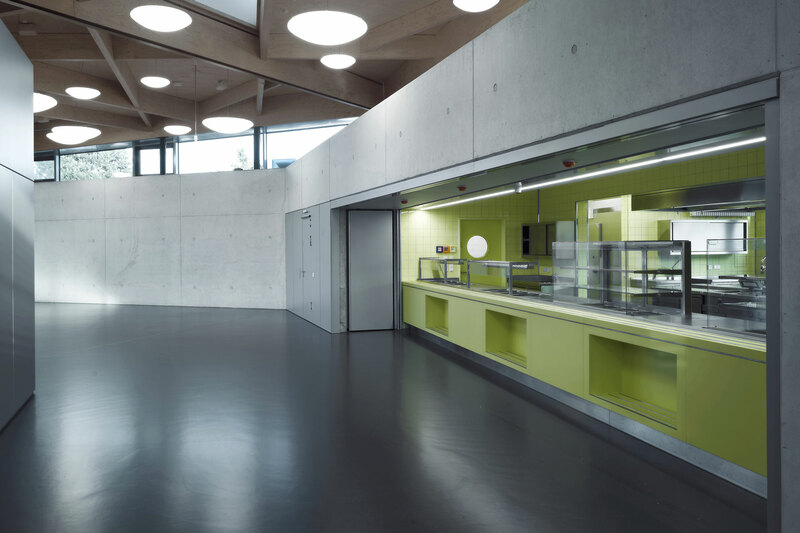 The new cafeteria of the District's Centre of Vocational Schools in Schwaebisch Gmuend sets an example for a sustainable, efficient and economic construction. 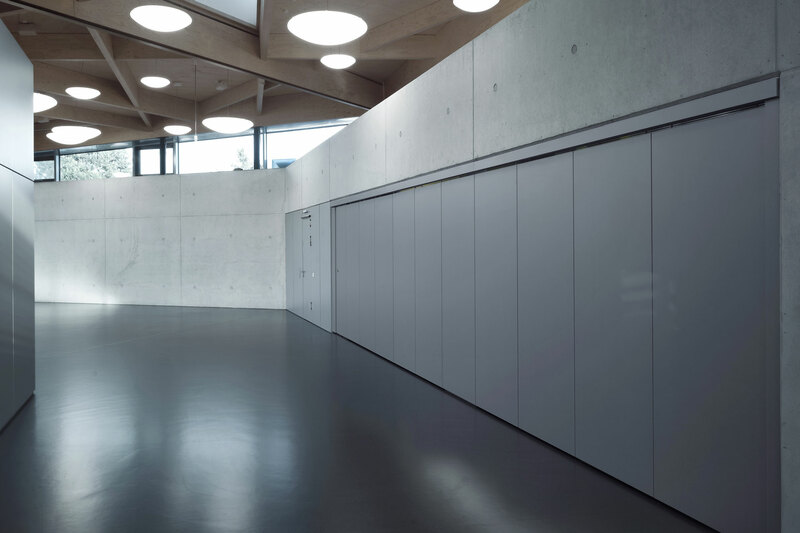 The integral design process provides ideal conditions for this approach since it’s possible to already take a decisive influence on the building design while still being in the competition phase. 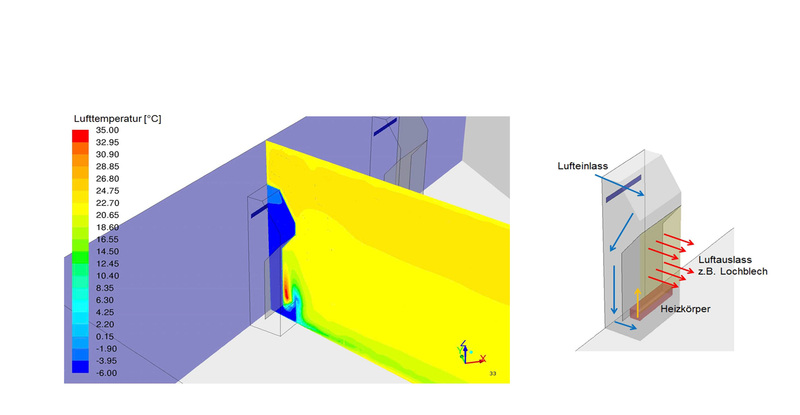 By using the integral process it's possible to optimize solutions attuned to the project. The energy and climate concept is so to speak "custom tailored" to the requirements and the location of the property. In this project, the climate concept is specially designed for the needs of a cafeteria and only uses the lower temperatures at night for cooling, a purely natural ventilation (incl. effective night time air flushing) and - based on the building design – has been optimized to take advantage of natural light while minimizing solar gains in summer. For the use as cafeteria special natural ventilation elements have been developed, which are integrated into the exterior facade and allow comfortable natural ventilation even in winter. 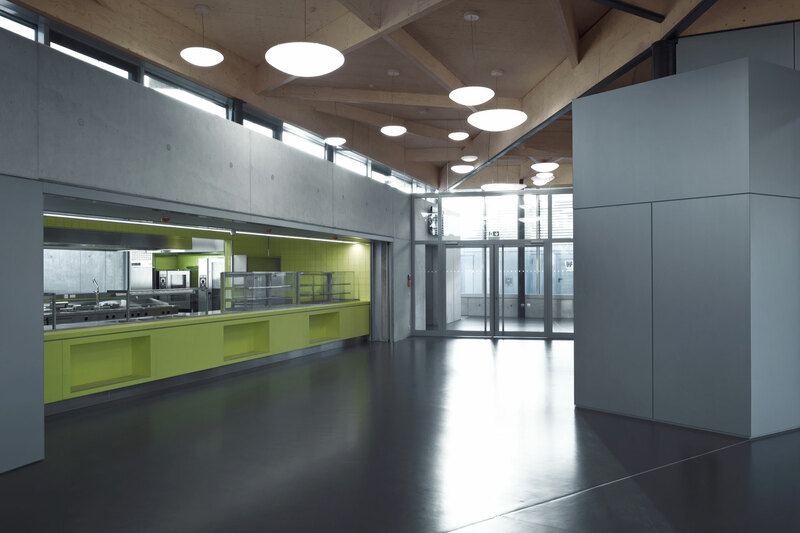 Each element consists of a box through which fresh air flows through ventilation flaps, an air deflector and a radiator prior to being distributed into the cafeteria. Thus drafts and cold air entry are effectively reduced. 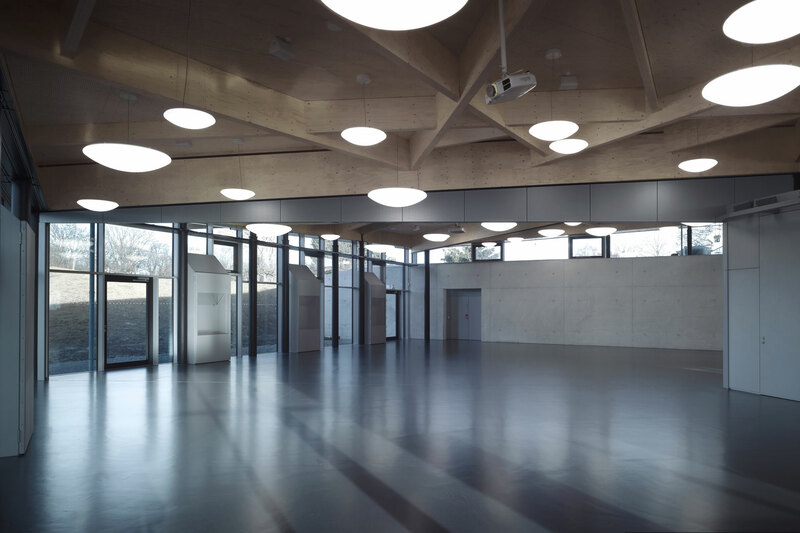 Lighting dormers oriented to the North-East and North-West as well as the transparent north facade provide excellent natural lighting for the cafeteria.